In 2017, strong growth in international and domestic visitor numbers to and within Australia led to growth in nights and dollars spent during their stay. The number of international visitors to Australia topped 8m (6.48% increase) for the first time in 2017, resulting in over 265m visitor nights spent (4.84% increase) and visitor expenditure in excess of $41b (up 5.69%). Emerging tourist markets of China and India continued to exhibit strong annual growth in visitor numbers and nights spent in Australia. Growth in visitor numbers from traditional tourist markets (United States, United Kingdom, New Zealand, Japan and Korea) was more subdued, with many reflecting a decline in visitor nights spent. National Visitor Survey results (year ending September 2017) also reflect strong growth in the number of domestic overnight visitors, nights spent and trip expenditure within Australia. Victoria trailed only New South Wales in the number of domestic overnight visitors to our state (23.75m, a 10.64% increase), while Melbourne ‘topped the charts’ for the number of domestic visitor nights spent in hotels, motels and resorts (9.738m, a 7.22% increase). Nights spent in regional Victoria were 7.389m (ranked third in Australia behind New South Wales and Queensland), with by far the strongest growth trend of 21.01% year on year. The increase in demand over new supply in 2017 was particularly prevalent in Northern Territory, Australian Capital Territory, Queensland and South Australia and remains strong in New South Wales. For remaining states, new hotel room supply significantly exceeds demand in Western Australia marginally exceeds supply in Tasmania and was at equilibrium in Victoria. In 2017, an analysis of occupancy and average daily rate performance in Melbourne reflects that performance stagnated at between 82- 83 per cent annual occupancy and circa $185 average daily rate for the year. Occupancy is up 4.1 per cent since 2013, with average rate only increasing marginally at 2.5 per cent (same rate as that achieved in 2014). New supply is beginning to exceed demand growth in Melbourne. Rate pressure has begun to dissipate as group business has declined and transient, short term bookings increase. This has led to rate trepidation among hotels. The number of busy nights (above 90 per cent occupancy) where strong yields could be achieved fell from 108 to 92 (2016 vs 2017). Hotels reported weaker average daily rate premiums during some major events. Despite supply growth STR reports that weekday business between Tuesday – Thursday and Saturday leisure business remain strong and opportunities for revenue growth during those periods exist. RevPAR in regional Victoria has grown at a faster rate than that of Melbourne, following the impact of major events, such as the Cadel Evans Great Ocean Road Race and regional AFL fixtures. The Australian tourism sector’s growth outlook to 2033 is strong and is underpinned by ‘Tourism 2020’ a long term collaborative government and industry focus to improve its performance and competitiveness and achieve the goal of $115b in overnight spending. Countries with positive global economic growth forecasts are also targets for tourist visitation to Australia, with India looking particularly strong. The economies of traditional tourist market catchments for Australia – including New Zealand, United States of America, the United Kingdom and Japan are also forecast to grow strongly. However, economic growth forecasts in China and the majority of Asia are softening on recent strong levels. Aforementioned growth in nights spent in paid accommodation by international and domestic visitors are forecast to continue to grow over the next three years. However, a growth in the number of Australians travelling to overseas destinations represents increased ‘leakage’ (up 6% to 9.1 million people in 2017) and presents an opportunity to encourage them to remain in Australia and spend money locally. As many as 56 new accommodation projects are at varying stages of planning and construction within Melbourne. If all materalise, this will increase future hotel room supply by 11,000 rooms (30 per cent). This increased room capacity, coupled with the expansion of Melbourne’s Convention and Exhibition Centre drives the imperative to maintain a strong pipeline of future business for Victoria. Forecasts for business events are strong, with a number of manufacturing sector, medical and technology-related events scheduled in 2018. Forthcoming exhibition business is also solid, with many events that will attract in excess of 5,000 attendees confirmed. The importance of enhanced long term Victorian Government funding for Visit Victoria and the Melbourne Convention Bureau to enable Victoria to continue to attract increased intrastate, interstate and international visitor expenditure cannot be underestimated. Particularly given guests travelling for business have a higher yield, stay longer and spend more than those travelling for leisure. Building on the contribution of major events to Victoria’s economy of $1.8b in 2016/17, Visit Victoria will focus on continuing to build a major events calendar that attracts ‘the best of the best’ events to Victoria and has our State mentioned in unison with key international event destinations, including London, New York and Berlin. Victoria’s Regional Event Fund will also deliver $20m over five years to amplify the profile and reach of a wide range of regional events and festivals. Recent world class event announcements for Victoria include Mandela” My Life – The Exhibition, Presidents Cup golf (for a record third occasion), Harry Potter and the Cursed Child and the ICC T20 World Cup finals for men and women. Visit Victoria’s “A Twist At Every Turn Campaign” will evolve over the next three to five years to reassert Melbourne’s position as a leading short break holiday destination in Australia. It encourages interstate visitors to ‘escape’ into the city and its surrounds and experience a sense of interest and surprise, as they delve deeper into all that our city has to offer. 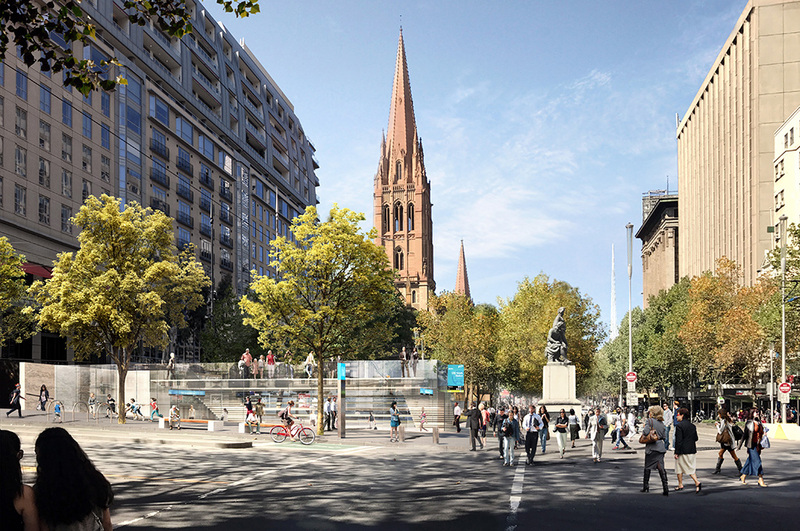 Melbourne’s documented history of being able to absorb new hotel supply and maintain strong occupancy metrics will be challenged in the coming years, given the scale of new supply, while the arrival of luxury brands will likely assist to drive increases in average room rates. This reinforces the importance of the Federal Government’s strategic focus on tourism as one of Australia’s key growth industries; the coordinated endeavours of tourism stakeholders at a state level; enhanced direct flight access, including the continued development of Avalon Airport as an international hub, and Victoria’s focus on high profile major events and high yielding business events and exhibitions to provide a strong platform for accommodation hotels to continue to prosper in the future.